In this blog post, I will present the upcoming 1st International Workshop on Utility-Driven Mining, which will be held in conjunction with the 24th ACM SIGKDD Conference (KDD 2018), on the 20th August 2018 in London (United Kingdom). This KDD workshop is co-organized by Vincent-Tseng, Philip, S. Yu and Jerry Chun-Wei Lin and me (Philippe Fournier-Viger). The workshop aims at bringing together academic and industrial researchers and practitioners from data mining, machine learning and other interdisciplinary communities, which have done work related to the topic of utility-driven mining. The topic of this workshop is very timely as there is more and more research on the topic of utility mining. 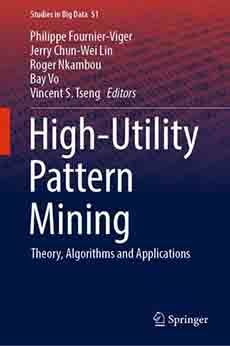 This includes topics such as high utility itemset mining and high utility sequence mining. Papers must be formatted according to the format of research papers for the KDD 2018 conference, that is no more than 9 pages using the Standard ACM Conference template.